Radio 1 DJ Greg James has been forced to cancel his Sport Relief challenge because conditions were not safe to continue. “I’ve never felt more gutted about anything”, he told Adele Roberts on Radio 1. Greg had already climbed to the top of Mount Snowdon and Scafell Pike – and had cycled in-between them – but he won’t be climbing Ben Nevis on Friday. “We can’t continue this challenge… at the moment. “That is it for today and that is it for the challenge for this week. “That means that we can’t continue to Ben Nevis. “We literally can’t leave here. We can’t get there”. Central Scotland has been under a severe red weather warning in the last few days. It means there is a risk to life because of the snow and freezing conditions. Last night, organisers said they tried to change the route to Ben Nevis. But even then, it wasn’t safe for a bike or for the support team to travel. “There’s a lot of people to think about – and these challenges are supposed to be tough- and they are tough – its been a really tough week for everybody,” Greg said. The Gregathlon would have seen the DJ climb three of the highest mountains in the UK and cycle the epic distances in between them over five days. But Greg said he will return and complete his challenge – but he doesn’t know when yet. “I’m going to come back and do that mountain – I’ve got to do Ben Nevis. 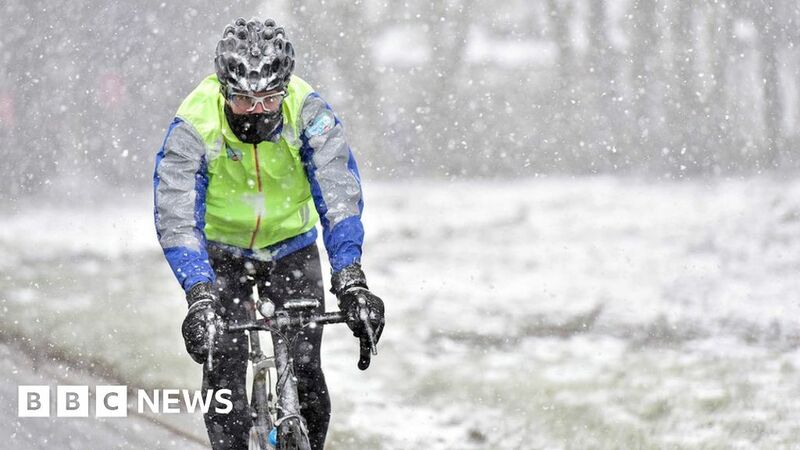 “I’ve already done 200 miles on that bike on snow, that’s why I’m so annoyed. “I just wanted to keep going. I just want to come back and do it again”. So far, he’s raised hundreds of thousands of pounds for charity and has received support from celebrities and listeners, including The Rock.